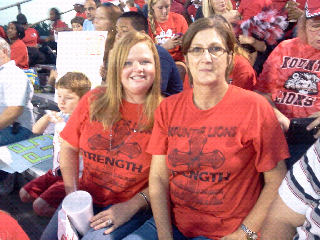 It was a big crowd for such a small town at the Kountze kids student faith rally/football game on Oct 5th, 2012! 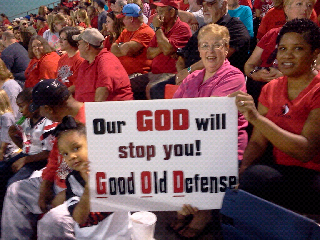 This was the first home football game since the Kountze ISD superintendent banned cheerleaders (and all students) from holding personal made signs at public football games if the signs had Bible verses or other religious encouragements. 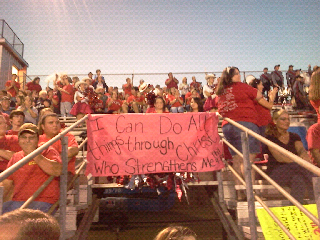 The stands were PACKED with people and there were a lot of religious encouragement signs with Christian Bible verses. 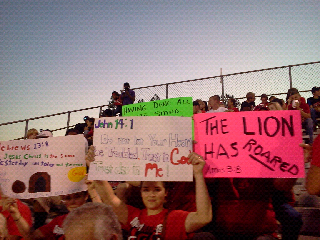 The stadium was packed and the spectators were holding the signs to show support for the Kountze kids who were standing up for their faith and their Constitutional rights. 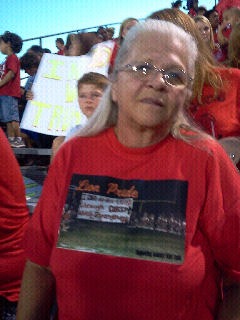 Texas Governor Rick Perry even skyped the cheerleaders before the game to tell them to stand strong and that they have his support. 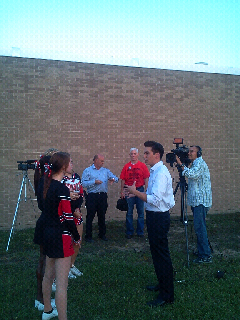 There were several media outlets in attendance, including national media outlets. 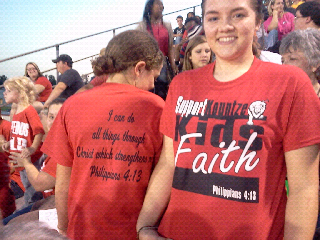 The game started with the football players running out with a flag flying in wind that had an encouraging Bible verse. 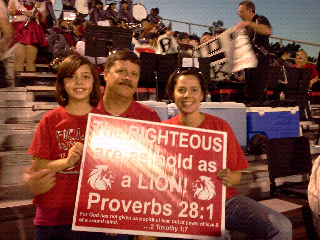 Then they ran through a big banner with a religious encouragement. I did see one lone group of a couple people holding anti religious signs (which is their right to hold them). 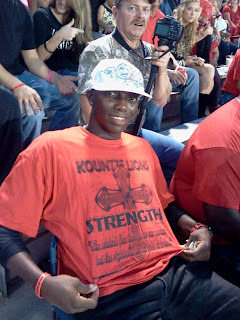 The event was a success and a great show of support for this cause. 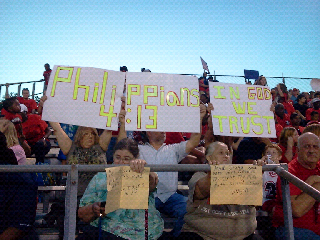 Texas District Judge Steve Thomas has issued a temporary restraining order which allows the cheerleaders to have the Christian signs pending a final decision by him. 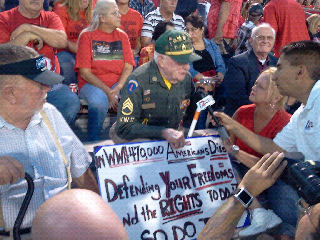 My favorite sign at the rally was of a WWII Veteran Charlie Henson who held a sign that said "In WWII 470,000 Americans Died Defending your Freedom and Right to do it (hold christian signs) So Do It!"